Prepare for love at first swing with this line of Easton baseball bats. Grab hold of this 2019 Easton Speed baseball bat and feel the lightness and control it provides. USA baseball players practice their hitting fundamentals by swinging this baseball bat, new from Easton for 2019. It's constructed from an ALX50 aircraft-grade aluminum alloy that helps provide lightness and strength. 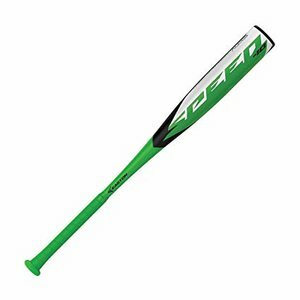 This Easton Speed USA baseball bat is a great choice for developing players - it's durable, easy to swing and gives them the confidence to advance to the next level. The 2.2mm cushioned FLEX grip provides adequate control while reducing vibrations felt in the hands, and it keeps youth players comfortable when they make contact.